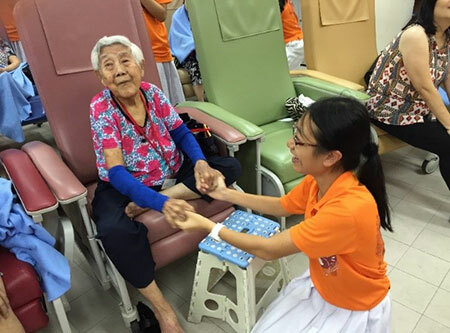 As HCA Hospice Care’s student outreach arm, the Young Caregivers Programme (yCG) addresses the fundamental challenges of an ageing population in Singapore. With interactive workshops and Values-In-Action sessions, students are inspired and encouraged to evaluate their own family situations, harness their innate abilities and hidden talents and channel them into positive actions. How does the yCG programme work? The yCG programme is designed for Primary, Secondary and Tertiary level students. 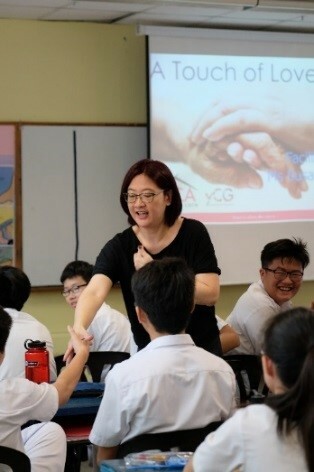 The 1-1.5 hr sessions are tailored to enhance the schools’ Character and Citizenship Education (CCE) programme and can also be incorporated into school orientations and CCA timeslots. The workshops are designed to be facilitated in a classroom setting with group sharing and engaging activities. Interested in bringing yCG to your school? Simply contact us at ycg@hcahospicecare.org.sg. Join us as an yCG Facilitator! Join our team of dedicated yCG Facilitators if you think you have what it takes to touch young lives and inspire them to make a difference in the lives of those who have everything to live for but very little time left to live. Join our team of yCG Facilitators if you think you have what it takes to touch young lives, inspiring them to make a difference in the lives of those who have everything to live for but very little time left to live.